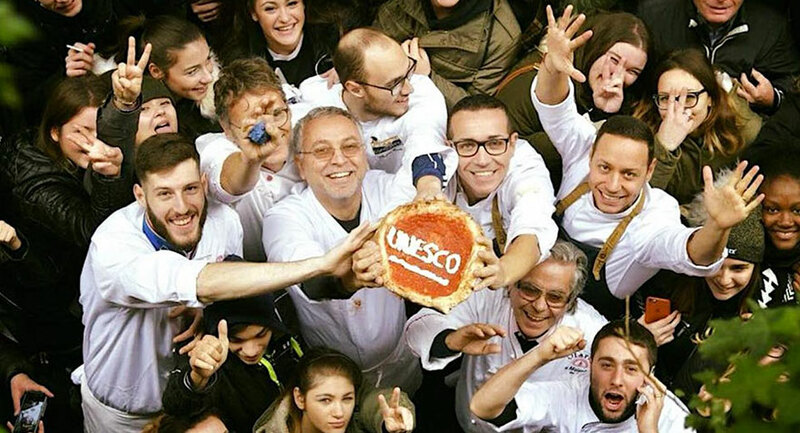 After the celebrations by all of us pizzaioli for the UNESCO’s acknowledgement of the art of Neapolitan pizzaiuolo as an intangible heritage of humanity, during these days I asked myself an immense number of questions: how can this important statement be confirmed over time? How can we safeguard this recognition? What are the strategies to communicate this immaterial resource to non-professionals? I think that there is a huge confusion, I even watched a subtitled tv program on Rai Uno that, in capitals, wrote “the Neapolitan pizza is Unesco heritage”. Truthfully, I thought it was really disappointing. Certainly, many answers to these questions concern to the pizza napoletana trade associations which promoted the initiative but also to all pizzaioli, including me. I agree with the vice president of the Vera Pizza Napoletana Association, Dr. Massimo Di Porzio, which states that together we can and must achieve objectives that represent the common good of the whole field but also of the entire Campania region. A spin-off that I would define as indirect with a possible development of an enogastronomic tourism that connects different synergies to a real network of tourist offering. On the whole, the art of the pizzaiolo craft is just one of the many arts of Naples. ‘Neapolitan’ is not a simple adjective or masculine noun that indicates the native inhabitant of Naples. It is something that is translatable into a true concept of art itself. You will wonder why. Think about the Neapolitan song, the Neapolitan music, the Neapolitan comedy, the Neapolitan school of painting of the XIX century, the Neapolitan art of nativity, the Neapolitan tailoring and I could continue with other specificities of the city of Naples such as Capodimonte ceramic or San Pietro a Majella Conservatory, or also the Gerolamini library. UNESCO has recognized only one of these arts but it is as if it had proclaimed Naples as the intangible capital of culture, the cradle of civilization and traditions that are proposed and renewed. We have the obligation to protect and tell all this to the whole world. After all, the Campania region was and it still is Magna Graecia.